What does an acute care nurse practitioner do? Would you make a good acute care nurse practitioner? Take our career test to find out how you match with this and over 800 other careers. What is the workplace of an Acute Care Nurse Practitioner like? An acute care nurse practitioner (ACNP) is someone who provides advanced nursing care to patients suffering brief but severe illnesses, typically in an emergency department, ambulatory care clinic or other short term stay facility. The ACNP profession is one of the more fast-paced nursing career choices, and it is loaded with responsibility and variety. Acute care nurse practitioners diagnose and treat acute medical conditions, working in collaboration with the physician and other members of the health care team. In medical terms, care for acute health conditions is the opposite from chronic care, or longer term care. 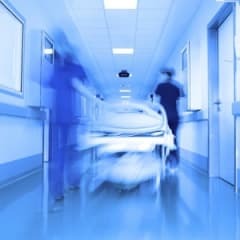 Hospital-based acute inpatient care typically has the goal of discharging patients as soon as they are deemed healthy and stable. Acute care nurse practitioners can care for patients suffering from acute conditions such as heart attacks, respiratory distress syndrome or shock. They also care for pre- and post-operative patients, and may perform advanced, invasive diagnostic and therapeutic procedures. Because of the extensive amount of education and specialized training acute care nurse practitioners receive, they have the ability to diagnose their patients ailments and treat an assortment of injuries and illnesses within the spectrum of their practice. They can also prescribe special medications, perform screenings exams, provide x-rays, assign patients to rehabilitation programs, open their own clinics and become primary health care providers for their patients. 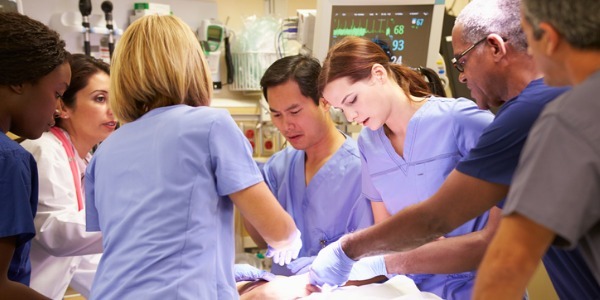 Are you suited to be an acute care nurse practitioner? Acute care nurse practitioners have distinct personalities. They tend to be investigative individuals, which means they’re intellectual, introspective, and inquisitive. They are curious, methodical, rational, analytical, and logical. Some of them are also social, meaning they’re kind, generous, cooperative, patient, caring, helpful, empathetic, tactful, and friendly. Does this sound like you? Take our free career test to find out if becoming an acute care nurse practitioner is right for you. Acute care environments include hospitals, doctor's offices, nursing homes, emergency rooms, operating rooms, critical care units, and walk-in clinics. All are clinical environments that utilize high tech equipment, skilled staff, and a variety of support staff. Acute care nurse practitioners may also serve as case managers and team leaders.